"MP Diaries" is a chronicle of our recent road trip to the magnificent state of Madhya Pradesh. Our journey in and across MP felt like home. We owe our sincere thanks to the people of Madhya Pradesh. Until the evening of 23rd December 2016, the plan was uncertain. Almost every day in December, we planned/ unplanned for this trip due to various reasons. Looking back, we know we made the right decision. As we had lost our camera along with all its accessories during our Chikmagalur trip long back, we went ahead to buy another DSLR on 24th of December for our upcoming MP trip. This apart, the car was not even serviced owing to the dilemma of our trip, although the much needed engine oil change and coolant top up was done on the morning of 25th December just before we hit the highway. During our return journey to Bangalore, our vehicle (Xylo) which had behaved well through out the trip developed fuel leakage about 150 km away from home. We realised about the leakage only after the smell of the fuel intensified. Being a Sunday noon, the chances of finding of a service center were meager. My wife kept an eye for any operational garage as we drove and we found one in Devanahalli. Thanks to the heroics of this mechanic, the leakage which was manageable priorly, only increased as we drove although he had convinced us that we could drive till home safely. At about 12 km to home, we observed fumes coming out of our vehicle's engine, which rang an alarm bell to stop immediately. We had to park our vehicle and book a cab to reach home, thus ending our wonderful journey. Two other important aspects for planning our trip were our 20 month old kid and demonetisation. 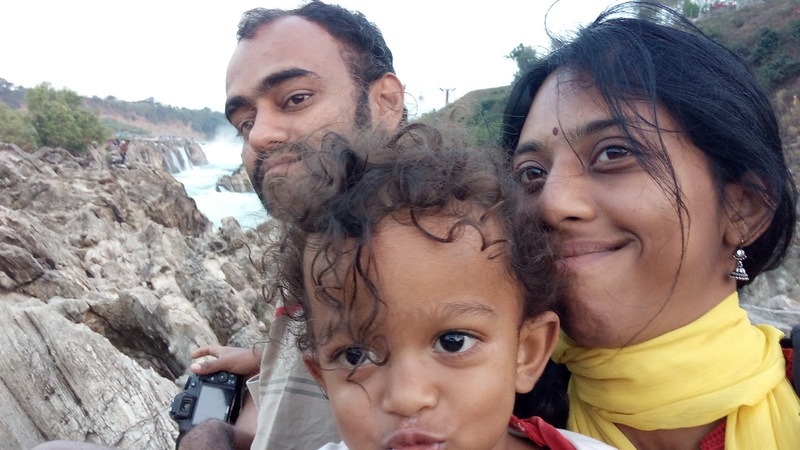 Though our little one enjoys traveling, the next fifteen days would be a testing time for him as well as us with regards to food, drinking water and sleep. We three, together, managed it quite well. Though he caught cold due to the extreme cold in Gwalior, the hotel staff were cooperative in setting up a heater at the middle of night, without which the situation would have only worsened. Thanks again to the staff at hotel Ambassador, Gwalior who were helpful and responsive with the heater, it was a savior!. This apart, he enjoyed well through out our journey. Demonetisation made most of us go cashless, hence we had to be prepared for overcoming this. As we decided late about our journey, we had little time to go the bank and draw money. We had to be dependent on undependable ATM's for the rest of our journey in addition to not being sure about how far plastic currency/wallet would be accepted. Most of the fuel stations accepted cards/e-wallets, except for one in Andhra state. Almost all toll booths accepted cards/ e-wallets payments. Most of the budget hotels we stayed in were quite hesitant to accept any form of digital pay mode and preferred cash invariably. Many ATM's across the states of Telangana, Andhra Pradesh and Madhya Pradesh were operational and issued money, Maharashtra being an exception where long queues in front of banks were a common sight. On the whole, the effect of demonetisation on our journey was nil. 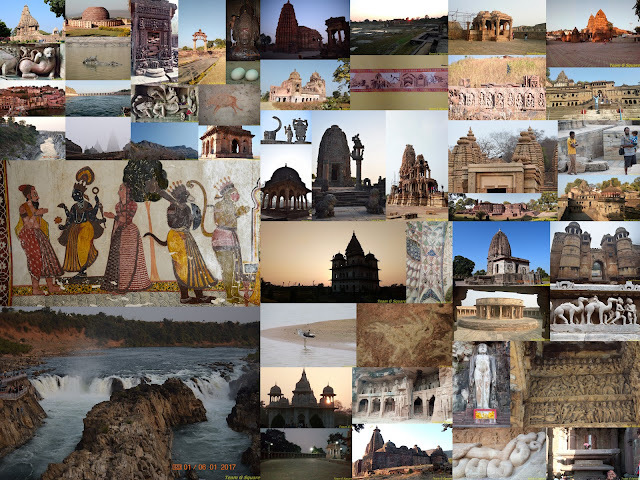 Madhya Pradesh like all other states in India is blessed with rich natural, cultural and historical heritage. Driving across Madhya Pradesh was a pleasant experience as described in our previous post. 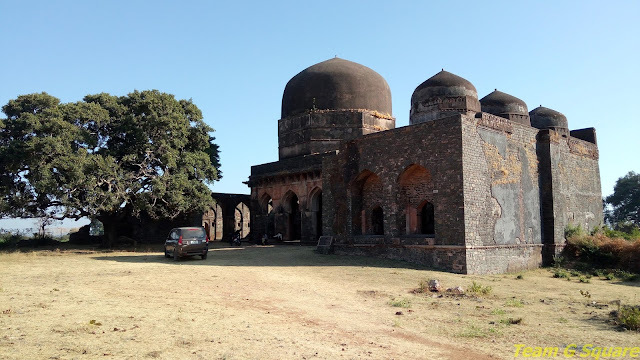 While researching on places to visit in MP, we realised that finalizing our itinerary was a tough job. Since it was a road trip, we had the freedom to go around as we wished (which we always enjoy) and explore the lesser known places. We made a list of places we wanted to visit. We also made sure to be prepared for the harsh winters of North India during December. A major disadvantage to us while traveling during winter was that the days are shorter and we had to manage our timings accordingly. Gwalior in the Northern part was the coldest place during this trip and we had to use a heater, both in our room as well as our vehicle during travel (rarity for us). Driving from Orchha to Khajuraho was a challenge in itself owing to the zero visibility due to smog. To add to our misery, my wife realised at the right time (being quite sarcastic!) that I hadn't collected my ID from the hotel we checked out last. Thinking wise, we drove back to get the ID rather than getting it couriered to our residential address. We will surely remember this drive for long and will always cherish it. Unfortunately, Bandhavgarh and Panna didn't happen since the online safari booking was full. We thought it wasn't feasible to travel to Bandhavgarh/ Panna and try on the spot safari booking. Also, the prices of guaranteed safari via resorts was way too high. We didn't make it also to Ujjain due to paucity of time. 6) A travel diary for writing down details of places visited, etc., including expenditure (unfortunately we didn’t use it as usual!). This is really a treasure. 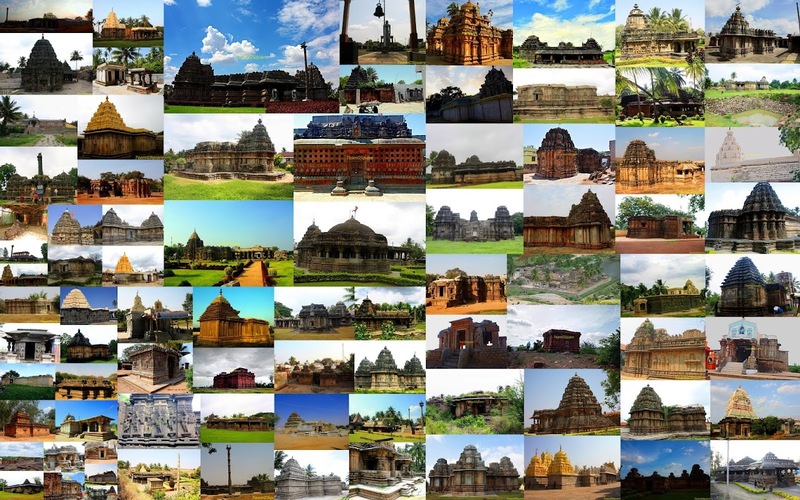 Thanks for compiling and showcasing India's wonders. image size can be little bigger no? You can click on the image for the enlarged view. Thanks for pointing it out have updated accordingly. Thanks for sharing , Nice post and photos. Very Interesting account. 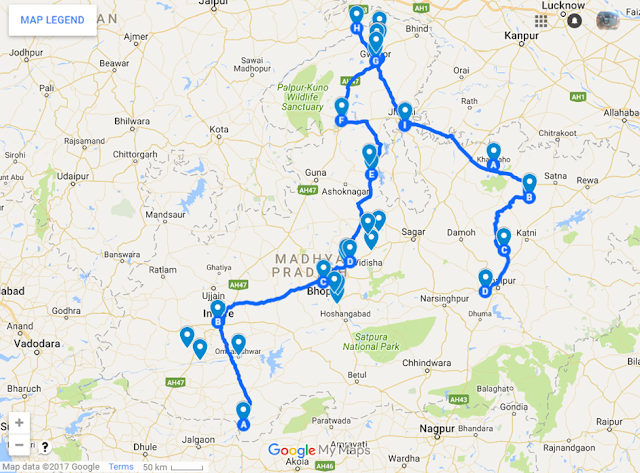 I have been planning on doing some long drives as well. Your posts encourage me tho think seriously about them. Wow! An amazing drive indeed! Glad that the fuel leakage happened close to home and you did not have to waste time in attending to breakdowns during your trip. Looking forward to more interesting tales! That is quite a distance travelled, a rich experience, thanks for sharing! This sure is a very grand tour of MP. @Saurabh - Many of these places have Government nominated guides. You can use their services depending your choice and language preferences. Absolutely riveting. Thanks for sharing your journey in such great details .